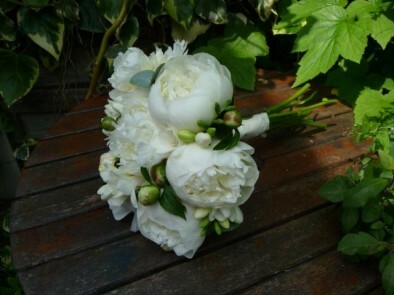 Beautiful, understated hand-tied bouquet of ‘Shirley Temple’ fragrant white peonies. The stems have been bound with silk ribbon to match. Suitable for most style of wedding gowns.